“Tell me Dad, what is a Top Half Folk Festival? “Now that I have found my very first lagerphone that you made me all those years ago, can I go to the next one? 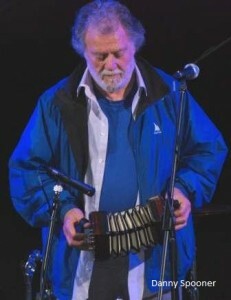 This festival included as always some of the best musicians from the Territory, together with some musical mates from interstate, and guest artists, Danny Spooner and Dave Alleway with Di Gaylard. The weekend programme consisted of concerts, workshops, presentations, poetry, a folk quiz, impromptu sessions, and activities for the younger visitors. (“How to burn a lagerphone without starting a bushfire” was a suggested activity, but too many people turned up and the bushfires council wouldn’t allow it). Danny Spooner’s presentation on the life and music of Hamish Henderson, ably assisted by Dave Alleway and Di Gaylard, was an absolute ripper. Henderson, was a Scottish poet, a songwriter, a soldier, an intellectual, and a collector (along with American Alan Lomax) of folk songs. In many ways he was responsible for the folk revival in Scotland in the 50’s and 60’s and he also started a people’s festival in Edinburgh in the early 50’s, where Scottish traditional music was played, a fore-runner I guess to the Edinburgh fringe festival of today. 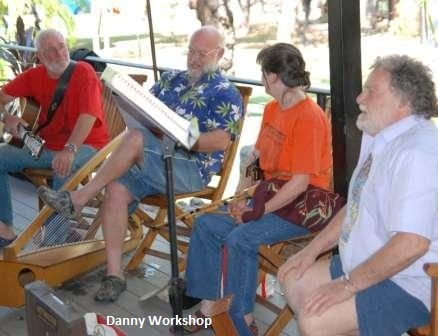 Danny sang a collection of great songs, with the standouts for me being “The D Day Dodgers” and “Banks Of Sicily” interspersed with insights into Henderson’s life. Great stuff. The folk quiz has become an integral part of Top Half’s in recent years, two panels of three face off against each other in a battle of wit(s) overseen by an irreverent MC ( yours truly) with the much sought after “winners are grinners” trophy being the ultimate prize. Musical knowhow is somehow lost amongst the mayhem that ensues, and the ultimate winners I guess are the audience, who seem to love the format, (a cross between Spicks & Specks and Rockwiz) and the humorous sparring between the panels and the MC. Judging from the comments afterwards many consider it a highlight of the weekend. Who am I to argue!! I managed to see one of the afternoon concerts (Sat) sleep deprivation winning out on Sunday. I remember leaving at the end thinking how much I enjoyed it. There was a nice cross-section of music with The Randoms (Jabiru) Ian Kitney (Ex Katherine now Maryborough) Josh and Phil Gray (Perth) Karien, Ian and Jayne (Everywhere) and Last Minute (Darwin). There was something for everyone with both traditional and contemporary songs, tunes, and a cappella. Great to see young Josh (10 yrs. old?) upstage his Dad, together with some lovely harmonica playing. A nice version also by Last Minute (with Tony Suttor) of the Dave Oakes song Uluru. The Saturday evening concert started in fine style with The Darwin Ceili Band. They are old hands at this, having been around for a long time, and they didn’t disappoint, a very polished performance. Phil Gray from Perth minus his mates from Loaded Dog is a fine singer and song writer and it was good to see a solo performance from him. Chris Pemberton is a favourite of mine, his choice of songs, his guitar playing, and with a voice that is easy to listen to, he always comes up trumps.. Add in Tony Suttor on voice and squeezebox and you have a wonderful sound. Love it. Barry Skipsey from Alice Springs has been singing and writing great songs for many years now. It’s always a delight to see him perform and his newest song “The Green Box” about the plight facing many Aboriginal people in and around Alice Springs is both powerful and emotive. The Three Beans from Margaret River (Karien, Jenny, and George.) also played a great set, nice musical accompaniment with Jenny’s voice a stand out. What can one say about Danny Spooner that hasn’t already been said? A long time favourite of mine, a true professional on stage, a great selection of songs, “Harry was a Champion” & “The Lasses Who Dance” two standouts. A wonderful singer and musician, he is indeed a living treasure. The Sunday concert was another great show, with some more of my favourite artists. 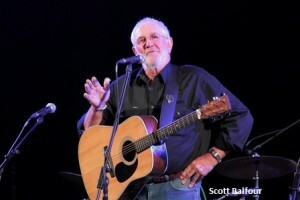 Don Bruce from Tanunda, great voice, a beautiful guitar picking style: quality. Phil Beck from Perth, likewise a great guitar player, with a voice to match, an ability to choose good songs, and a nice easy stage presence. 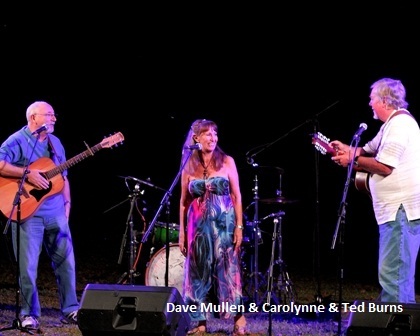 Ted and Carolynne Burns were joined on stage by their friend Dave and his guitar playing added another level to this popular duos set. The best I have heard them sing. Top Stuff. My old mate Scotty Balfour never disappoints. I believe he is singing better now than ever, he’s comfortable on stage, his choice of songs compliments his voice, and it’s about bloody time he put out a cd. 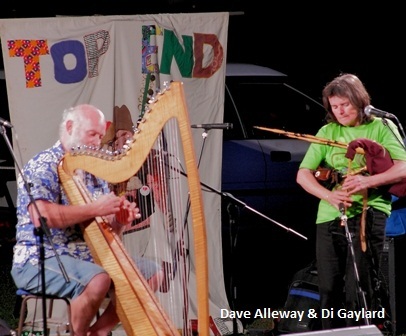 A harp and Scottish small pipes are perhaps not everyone’s cup of tea but give them to Dave Alleway and Di Gaylard and the result can only be a selection of wonderful Celtic and English songs and tunes. “The Pearl/Jamie Raeburn” and “Drummer Question/Beeswing were great examples of this. As a final note, I would like to congratulate the Mary River Park hosts, Rogan & Bronwyn, who provided terrific food and ensured that enough beverages were available to keep everyone happy. They even organised a special delivery of Guinness when stocks got dangerously low. My kind of people. My thanks also to the dedicated band of Top End folkies who organised the weekend’s festivities. The meaning of life is 42 and this was the 42nd Top Half Folk Festival. It couldn’t fail really could it!! ?